GoGreen Campaign Ride towards Banaswadi streets.. - GGI-Group size: 4000+ Professionals, Increasing on day to day basis, Come & join us 2 serve Mother Nature. 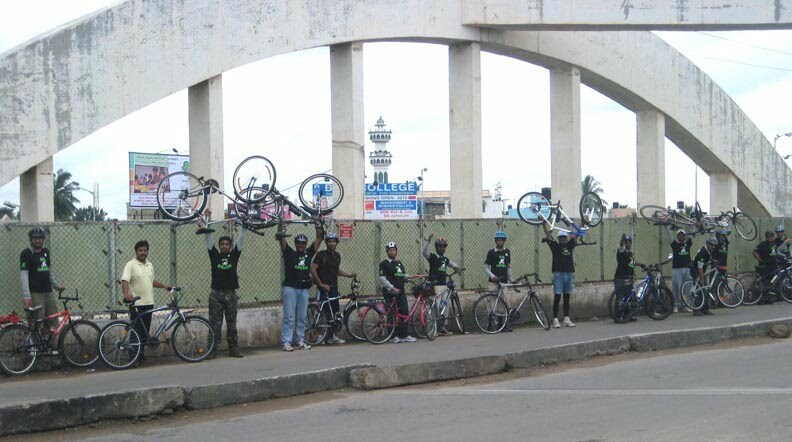 GoGreen Campaign Ride towards Banaswadi streets.. 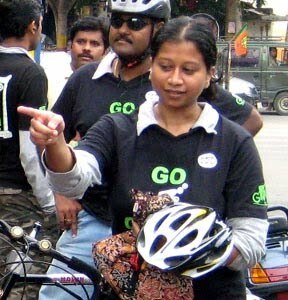 Totally 26 GGI's participated in the GG-Campaign Ride. Started @ 6:45am from RIS Junction and reached cubbon park by 7:15am where we met other team members then decided to head towards Banaswadi Streets. Started off from Cubbon - park Library @ 7:45am and reached Banaswadi Hotel by : 8:30am. After Crossing Commercial Street, Rajram's Cycle front wheel got Flat. He took a Rick and called out for a auto person and went back. We reached Uttam Sagar Hotel by 8:40am. After finishing breakfast we head back to our places.. Totally we had covered a distance of 46 Km's few people who had come from Marathalli Naveen,Venue & his team would have covered approx 60 Km's..
Kasturabha Road - MG Road Park - MG Road - Commercial Street - Kamaraj Road - Banaswadi's Uttam Sagar. improved performance.... RajaRam & his bike after his Cycle hit a flat .. 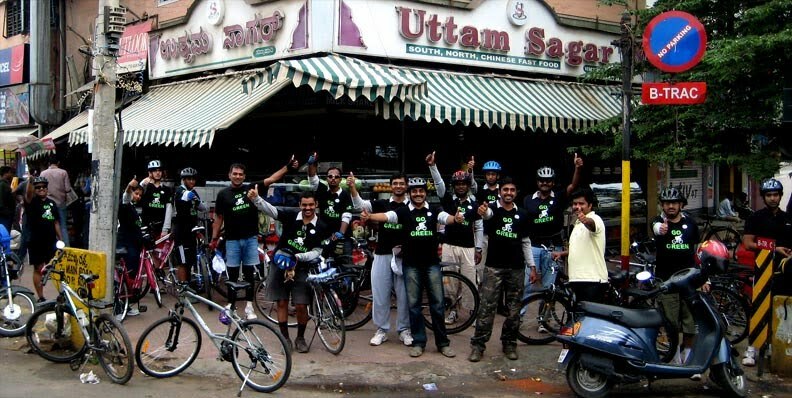 Snap Shtos of Go Green Campaign Ride towards Banaswadi street.